This chair cart stores up to 50 folding chairs in an vertical position. 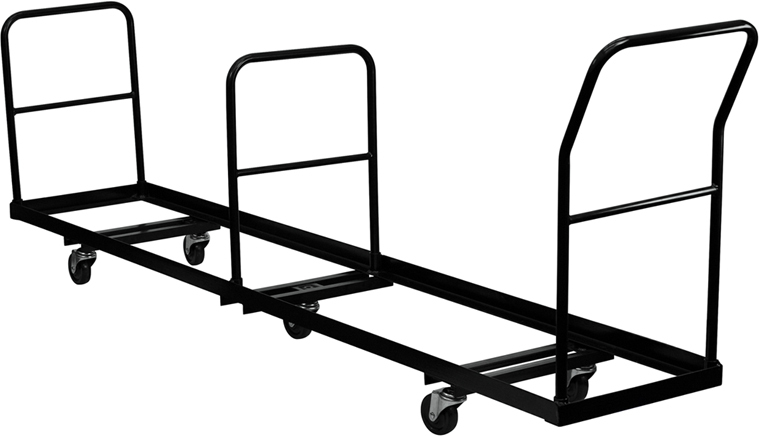 Constructed from solid 1/8" steel, this cart can handle heavy use. The 3 tubular handles assist in easy maneuvering around corners & tight spaces. 19.5''W x 105''L x 45''H x 81 lbs.